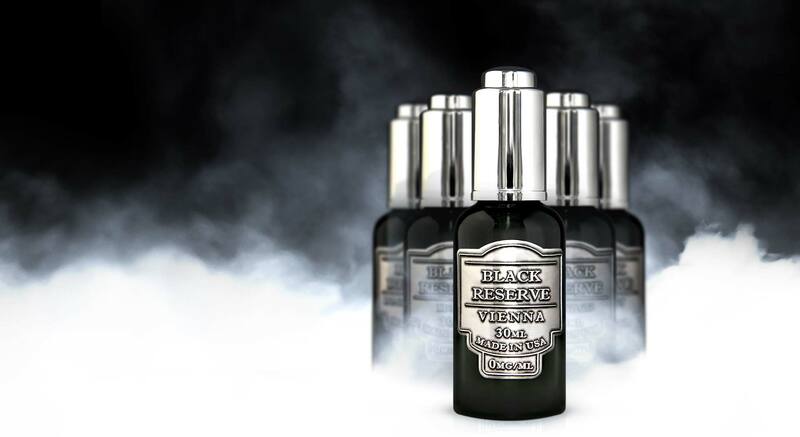 Black Reserve, a premium e-vape juice company, sought to forge its identity, inspired by a James Bond flick or the classic, masculine look of Jack Daniels. They partnered with us to help turn their vision for their company in the marketplace into a tangible identity. We ignited their new brand by cultivating their logo and identify and integrating it into an interactive website and various marketing collateral. Our goal was to give Black Reserve the look and feel of a premium, luxury brand by creating a timeless design with traditionally styled shapes and classic typography. 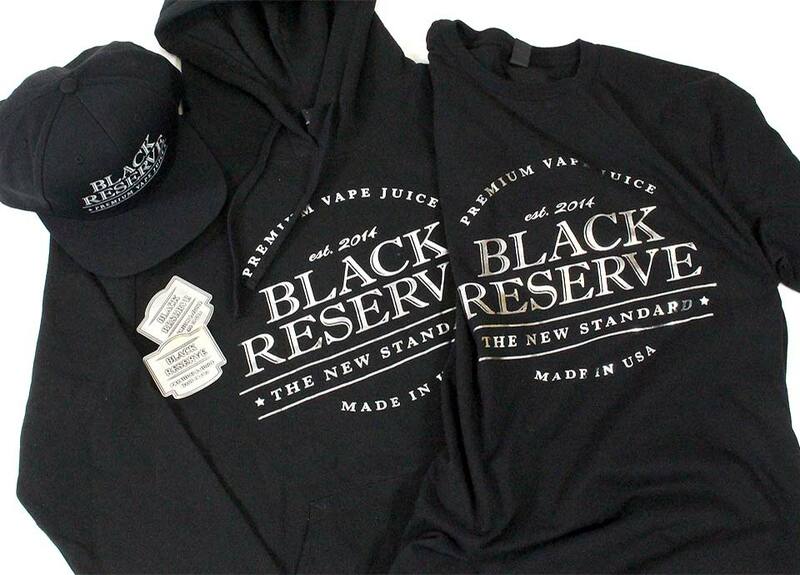 Since the e-vape juice is a new industry, it was integral for our team to separate Black Reserve from their competitors in the market place. They produces a premium product created by one of the world’s best mixologist using only the highest quality ingredients. We had to build an identity that truly reflected their high-quality brand. 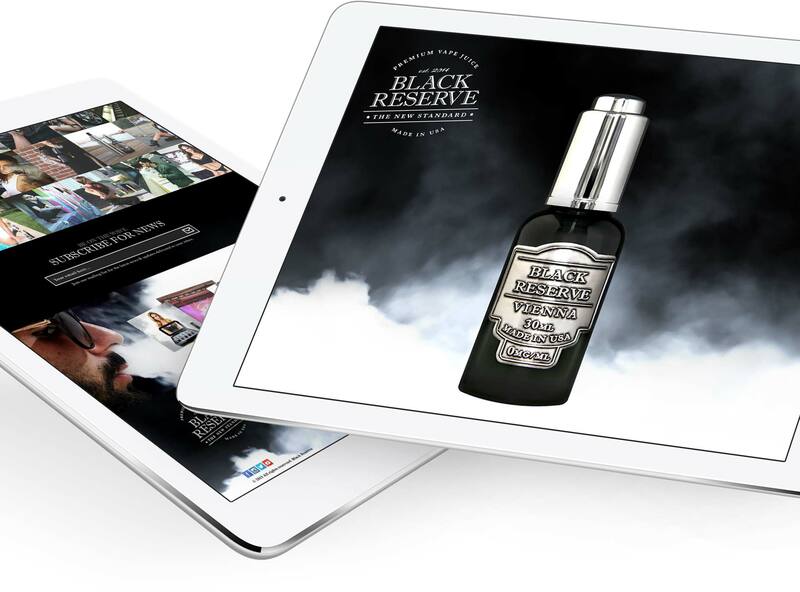 Our work told the story of Black Reserve as we integrated their identity into a number of marketing materials, including labels, brochures, tradeshow booths, handouts, website, and more. Our team highlighted their marketing assets with a unique and fresh flavor to separate them as a stand out competitor. Our creative team needed to create a logo and identity that represents the affluent lifestyle of Black Reserve. We incorporated timeless design and classic typography to produce a premium look for their identity. The old style serif coupled with a dark, clean layout is reflective of a traditional but modern brand. Our team built an interactive, responsive website to create and cultivate their online presence in order to drive results. On the website, the visitor will be impressed with the interactive presentation of the product. 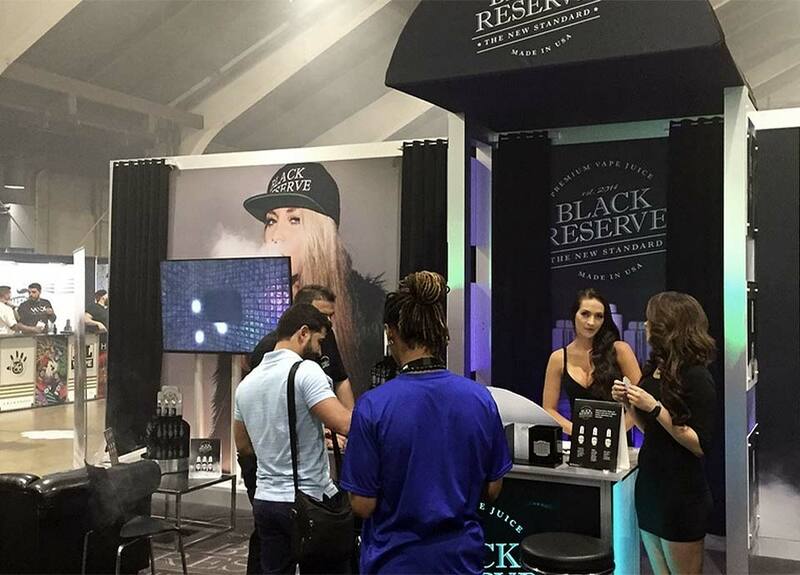 As an introduction to Black Reserve, visitors can also explore their different flavors and various offerings, interact with them through social media, and immerse themselves in the images of their sumptuous lifestyle. It was key for us to maintain consistent branding for this newly emerging e-vape juice company. Our team created various marketing assets including brochures, tradeshow booths, labels, and more. 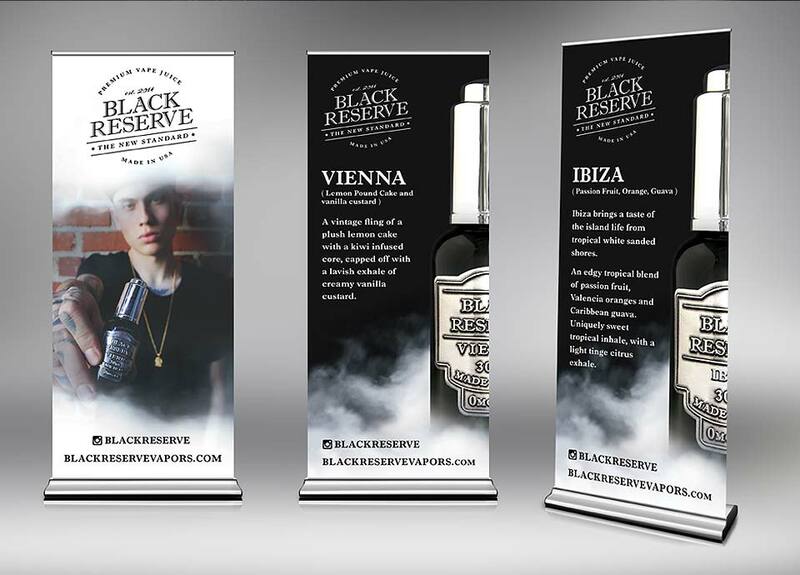 We created a strong brand identity while Black Reserve withheld the product. This generated a lot of hype even prior to their product launch in 2015.